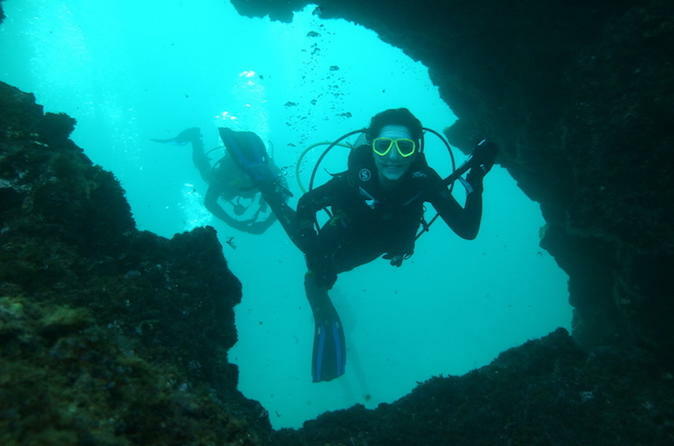 Complete the PADI Deep Diver course in just two days with this specialty session in Tenerife. You'll learn advanced techniques for scuba diving at depths down to 130 feet (40 meters) and go on four practice dives under the close supervision of a PADI instructor. Your scuba diving course includes educational materials, equipment rental, insurance, and hotel pickup and drop-off.